The upcoming Bentley Bentayga is the topic of much debate because she seems to be a very complex lady right off the jump. Now it is being teased that the diesel Bentayga is getting an electric-aided turbocharger to go with that glorious W12 engine. The feature will be called the E-boost to appeal to gearheads with thunder in their veins and a thirst for that boost. Bentley Bentayga is all about that boost, bout that boost—no trouble. The first thing to do upon purchasing the 2015 Bentley Flying Spur would be to locate an open and unmonitored stretch of pavement and take it all the way up to speed…just once. The next gen Flying Spur is bringing it in the performance department, seemingly ignorant of that 2.7-ton curb weight! Brilliant. Some view the Flying Spur as a gracefully aging lady in need of preservation, but she can certainly hold her own and shock any unfamiliar driver. A perhaps new-to-the-game exotic car owner suffered the misfortune of crashing both his beloved Bentley and Lamborghini on the very same day! Reports read that the owner, 21-year-old Elijah Oyefeso, merely laughed-off the double exotic car crash…but we all know he must have wept silently into his car-shaped pillow later that night. The Bentley Flying Mile Record is a bit of an epic area for fans of the brand. Now a more modern member of the family holds the title, and it only took roughly 88 years for this change of command to occur! 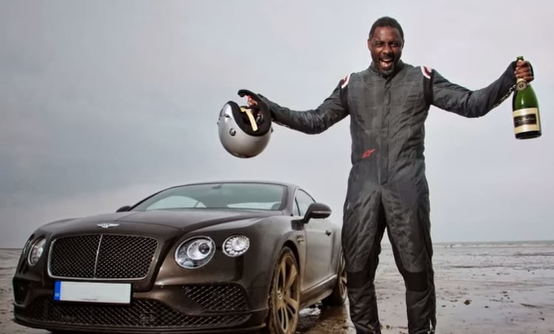 The Bentley Continental GT Speed has taken the record from the Napier-Campbell Blue Bird. An aging lady driver with a preference for the finer cars in life made headlines by landing upside down in a Bentley. 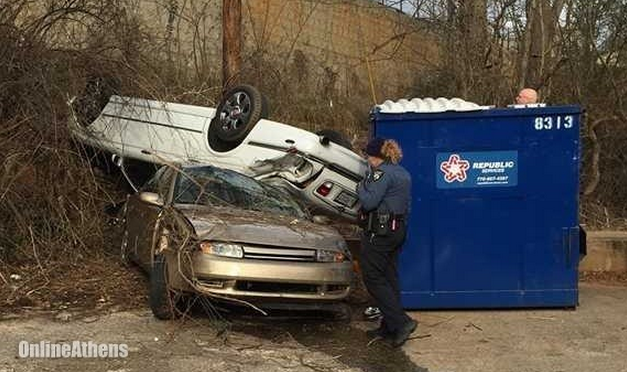 The woman emerged unscathed from the crash, which occurred when she drove the car over a ledge and landed it upside down on top of another car! There were no occupants in the vehicle crushed by the Bentley. The result looked rather like an expensive game of Tetris. The only photo of the accident comes from the local Athens Banner-Herald, on scene in Georgia. 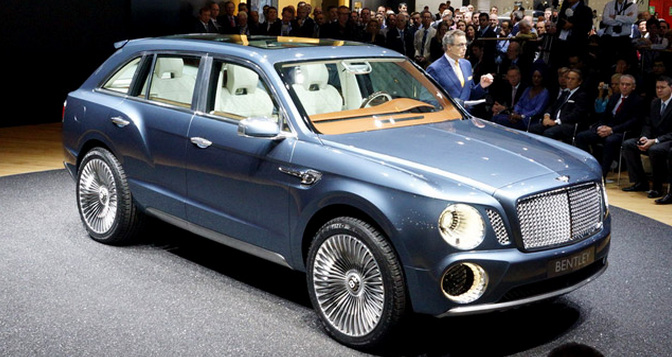 Bentley has enjoyed record sales and customers are already lining up for the upcoming SUV. Over 4,000 people have expressed interest in purchasing a Bentley SUV prior to even viewing it. 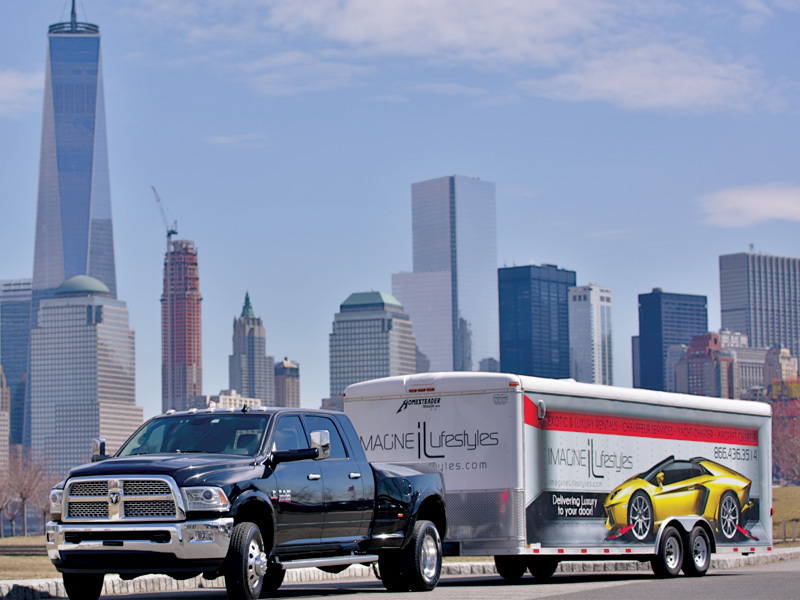 Based on that surge and other factors, the company expects to sell around 3,000 of the units when they reach showrooms in 2016 and can likely price them in the painful level. 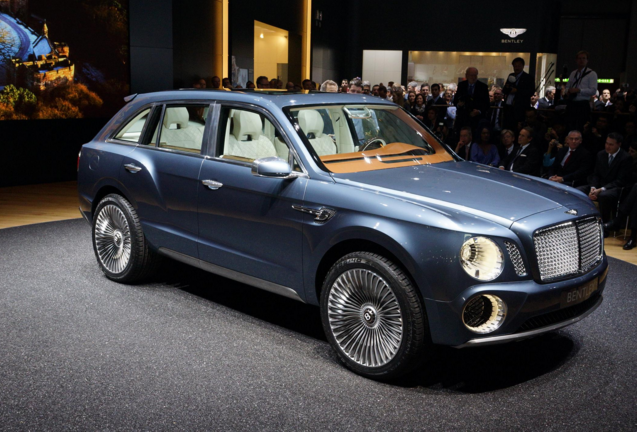 If pre-sale interest is any indication of success, the Bentley SUV is poised for a grand start. 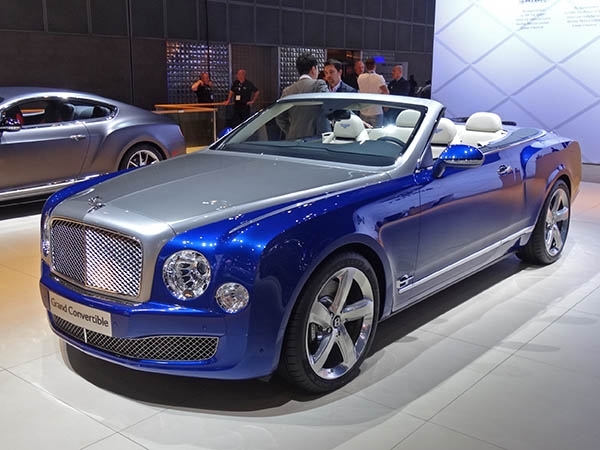 The savvy minds at Bentley carefully selected a party in West Hollywood and the 2014 LA Auto Show to reveal the ravishing 2015 Bentley Grand Convertible. I must say that the name is quite refreshing in an era of endless numbers and rather lengthy surnames! This model is far from just a vision in blue with a direct name, however, as she offers power and prowess for the elite while maintaining a distinct sense of traditional motoring.